LETHBRIDGE, AB - The Lethbridge Bulls have continued adding to their roster as they announced the signing of C Jaret Semeniuk out of the Prairie Baseball Academy in Lethbridge, Alberta. The reigning WCBL Canadian Rookie of the Year award winner rejoins the Bulls for the 2019 season after posting tremendous numbers last summer, leading all WCBL catchers in batting average and on base percentage, while slashing an impressive .371/.451/.900 over 30 games. "I'm excited to be back because of the experience I had. I got a feel for the league and now I'm ready to make a difference and help push this team to the next level," said Semeniuk. 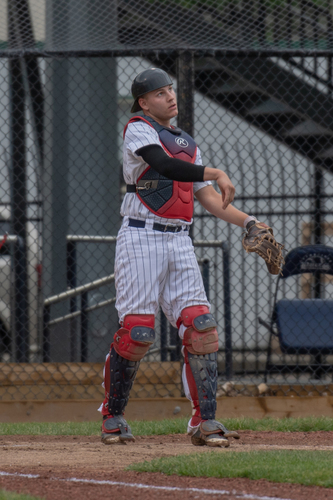 Currently attending Lethbridge College and playing for the Prairie Baseball Academy (PBA) in Lethbridge, Alberta, Semeniuk provides the Bulls with stability behind the plate and looks to be the top candidate to begin the season as the starting catcher for the club. "He was one of the biggest surprises on the team last summer. We brought him on thinking he would be our third catcher and get some experience for the following years, but he turned out winning the WCBL Canadian Rookie of the Year award and was one of our most consistent hitters," said Bulls head coach, Jesse Saywer. "He's extremely talented and when he's in the right mindset he can be a special player for us," Sawyer added. The Bulls kick off the year on May 25th when they visit Edmonton to take on the Prospects for two games, before heading home for the VisitLethbridge.com Home Opener on May 30th.